One of the best things about our Resident Outings, is that everyone has a chance to bond in a different way. This was exactly the case, when the Activity Dept. took Ellen Usher bowling. Arriving at Broadway Lanes, Ellen was greeted like a rock star! Unbeknownst to the group, Ellen is a local bowling legend. 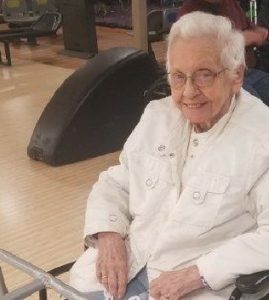 She and her late husband Ken were avid bowlers. 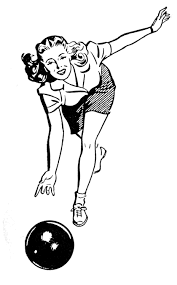 Ellen ran the 50/50 for league nights at the Fort Edward Bowl, and she and Ken traveled the country (including Vegas, Tulsa, & Jacksonville) as part of her ‘bowling tour’. Ellen had a wonderful time reminiscing, and her peers and staff were happy hearing the stories and learning more about her. It is fun to imagine Ellen in her heyday…throwing those strikes!